To Whom is Kyrgyzstan Grateful for its Independence? 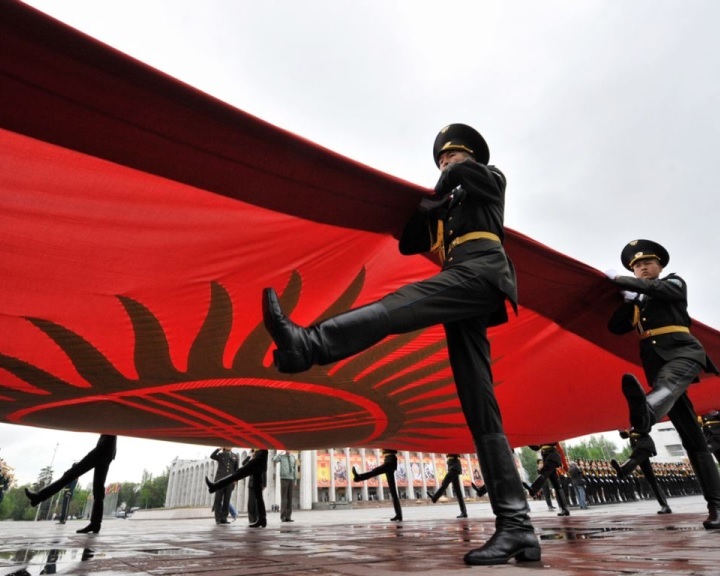 On August 31, 2015 Kyrgyzstan celebrated the 24th anniversary of its Independence. On Ala-Too Square – the central square of Bishkek, the capital, – the Kyrgyz president Almazbek Atambayev delivered a speech in which he noted the main achievements of the country and defined tasks, on completion of which the future of Kyrgyzstan depends. “Kyrgyzstan is the freest country in the region,” was announced in the speech of the president. There is a long path behind these words that was marked by the crisis of the 1990ies, corruption scandals, fight against gangsters and drug trafficking. 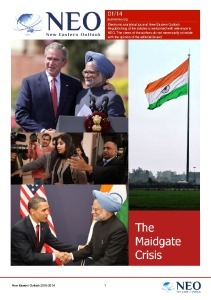 There were dramatic events on the political level: The Aksy tragedy in 2002, the Tulip revolution in 2005 and another shift of power five years later. And all this surrounded by inter-ethnic disagreements and continuous terrorist threats. Kyrgyzstan managed to reach relative stability only recently. According to President A. Atambayev, it was only under his leadership that Kyrgyzstan “headed towards the achievement of real independence.” Getting energy independence became an important step on this journey. For many years Kyrgyzstan was compelled to use energy from Uzbekistan and Kazakhstan that gave these countries some powerful impact on the country. However that situation came to an end in August, 2015 when Power Line of “Datka-Kemin”, the largest energy project in the history of independent Kyrgyzstan, was brought into operation. From now on, the country has an autonomous electrical power ring which shall provide trouble-free operation of all networks of the Republic. The line is 405 km long and costs $400 million. “We did it. It is really the project of the century for our power industry,” commented the President of the country. The contract for construction was signed with the Chinese Company TBEA, and the credit of nearly $400 million was obtained by the “National Electrical Grid of Kyrgyzstan” JSC from the Export-Import Bank of China through the SCO credit line. It should be noted that now the debt of Kyrgyzstan under this project makes nearly $900 million which will be returned to China within 20 years. Further in the speech A. Atambayev revealed plans to achieve traffic independence. Within the next two years all populated places of the country will be interconnected by a unified network of highways, and all of them will go across the territory of Kyrgyzstan. Connecting the road to Russia and Kazakhstan on the North and to Tajikistan on the South will allow creating a direct link between Russia, Kazakhstan, Kyrgyzstan and Tajikistan beyond Uzbekistan. For these purposes, it is planned to obtain $300 million from the Export-Import Bank of China besides the already assimilated $400 million borrowed from the Asian Development Bank. The Kyrgyz President A. Atambayev also mentioned plans to create a railway line which has to go across the Kyrgyz territory as the road from China to the countries of the Middle East forming a part of the Chinese project – the “New Silk Road”. 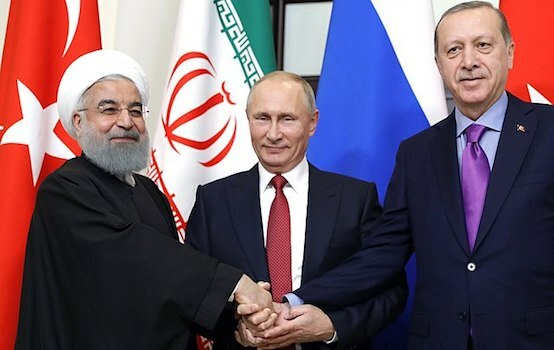 There are a lot of disputable issues on the project, and the President declared his intention to discuss them with foreign partners during September visits to the People’s Republic of China and Iran. One of the important tasks for Kyrgyzstan nowadays is to start earning on transit through its territory, and here the railroad construction is of paramount importance. Credit funds, which the Chinese counterparty will provide for the execution of the task, will make up over $2 billion. The President has also mentioned the recent accession of Kyrgyzstan to the Eurasian Economic Union which took place in August, 2015. As he said, for the country this event has opened huge opportunities for integration into the world economy and promotion of the national interests. In particular, in order to solve the tasks of modernization of the Kyrgyz economy, in July, 2015 the Russian-Kyrgyz Development Fund with a capital of $1 billion began operations. Besides, many barriers for the Kyrgyz labor migrants going for earnings to the Russian Federation will be eliminated. In particular, they will get almost the same rights in the Russian Federation, as the citizens of Russia, and won’t spend the near $1,000 USD for passing Russian tests, for obtaining patents and work permits. And if today in the territory of the Russian Federation there is 40% of total number of the working Kyrgyz labor migrants, in Year 2016 this number will increase considerably. Therefore, money transfers from Russia, which nowadays make 17% of GDP of Kyrgyzstan, will increase. Further, as one of the major tasks A. Atambayev has noted strengthening of ethno-national unity, to be grounded on the Kyrgyz language which still has not become the real State language. There are representatives of more than a hundred ethnicities living in the country, and the relations between them do not always develop harmoniously. The Uzbek language is the most widespread after the Kyrgyz language; and the Russian language is on the third place and is used as an instrument of the inter-ethnic communication and has status of an official language. Russia contributes, inter alia, financially, in supporting the role of Russian language in Kyrgyzstan. President A. Atambayev also mentioned one more key aspect: the fight against terrorism which he called “the major task for strengthening national security”. This challenge is now more acute than ever: quite recently, on July 16, 2015, in Bishkek four armed combatants were killed. It was reported that two more fighters were killed in the suburbs of Bishkek on the same day. The neutralized group was preparing a large terroristic attack on the Ala-Too Square on July 17, during the performing of the festive Eid Prayer on which President A. Atambayev and Members of the Government had to be present. Different opinions were expressed on belonging of the terrorists to this or that organization: there were even specs that the US intelligence service were behind the failed terroristic attack, and the purpose of the terroristic attack was to convince the public in the necessity to return the American military, which left the country a year ago, after closing the Manas base, on the territory of Kyrgyzstan. However, in the course of the investigation it was discovered that the combatants were connected with the Islamic State, and were financed by a former Member of the Kyrgyz Parliament who is currently under arrest. Overall, A. Atambayev was positive about the years of Presidency. If before it was predicted that there would be a catastrophe in Kyrgyzstan, after A. Atambayev has come to power, the weight of the country in the world grew: as the budget of the country has almost doubled since 2009 the World Bank has moved Kyrgyzstan from the category of poor to the category of developing countries. On average, the World Bank annually allocates the support in the amount of $70 million for development of the Kyrgyz economy. There is one more form of independence which the President wants to achieve for Kyrgyzstan: financial independence. A. Atambayev specified in the speech that now getting economic independence becomes a top priority objective for the country. In the next years the budget of Kyrgyzstan has to stop proceeds through credits and grants. All large-scale industrial projects that are not developing, as the President put it, because of the “dirty political games”, have, for this purpose, to be completed. Also he urged the Government and Parliament to make the necessary amendments in the legislation in order to create good business terms and “to put an iron barrier” for those, who want “to terrorize business” through the unreasonable checks. “Kyrgyzstan has to become a paradise for business!” he declared. However, such statements are challenges for the future. And nowadays the main guarantor of independence of Kyrgyzstan is China with the largest investments into the local economy ($3 billion); it is followed by the Russian Federation ($1.5 billion); and the American support on which Kyrgyzstan so much relied only a few years ago, will hardly be noticeable for the GDP of the country, which, by the way makes only about $8 billion.